Quality medium duty towing service is what Temecula Tow Company has been giving vehicle owners in the Temecula, CA area for 37 years. We service medium duty vehicles on all makes and models, such as RVs, commercial work vans, and buses. With our abundance of knowledge and experience, we are the top tow shop for medium duty towing in the Temecula, CA area. If you are looking for the ideal Temecula, CA area towing company to provide you with efficient medium-duty towing and roadside assistance service, look no further than Temecula Tow Company. We use innovative technology and equipment to get your medium-duty vehicle back to working like it is brand new. We provide 24-hour emergency medium duty towing too. We can help you get your RV back on the road, regardless if it is 2 am or 2 pm. 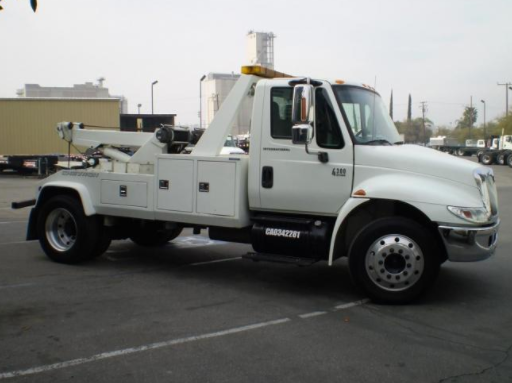 Being in the industry for so long, we are the leading Temecula, CA towing business that has worked with a vast number of medium-duty vehicles of all makes and models. If your company delivery van has been in an auto accident, or you have a flat tire, reach out to us. Our auto mechanics are honest, and they will treat you with the respect and you are searching for. We understand that fast towing service is desired to alleviate your stress when your vehicle breaks down. We offer you peace of mind by continually performing an affordable and efficient tow when you need it. Our towing techs are trained and have many years of experience in towing and roadside assistance. We know how much you value your time and money, and we are always pleased to see you happy with the towing service we give your vehicle. If you need expert towing service, try our Temecula medium duty towing pros. Whether you need a jump for your battery, or you have run out of gas, we are the most dependable company with a huge list of loyal customers. If you need roadside help, feel free to give us a call. When the commercial vehicles your employees are driving break down, come to us so we can help get your bus, truck, or van out of the street and someplace safe. Vehicles can be fickle and can stop operating at the worst time. You can rely on our Temecula roadside assistance & towing contractors to give first-rate workmanship and service to get your tires and any other non-working parts of your vehicle back in functioning order. We manage every phase of your towing/roadside assistance project, including a flat tire, fuel delivery, and battery jumps. Our crew provides towing and roadside assistance services that best fits your requests. Simply put, it will be difficult to find another Temecula, CA towing business that will give you the superior level of service that we deliver. Driving a vehicle when it isn’t running correctly not only jeopardizes your life but other drivers on the road as well. The sooner you get your medium duty vehicle serviced, the better your drive will be. Let the most respectable Temecula, CA towing professionals handle your towing or roadside assistance request. Try Temecula Tow Company! We promise you won’t be disappointed!